This exerciser set also provides support general health of a person and reduce pains of joints/muscles while exercising. It is used to heal damaged muscle tissues stimulates sensation in the skin.It is useful for patients who are suffering from muscle cramps, bunion, pronation, fallen arches, plantar fasciitis, tight muscles etc. Very easy to set up and exercise at your home itself. It also helps in the improvement of blood flow to recover from the injured muscle tissues and also for physical strength. 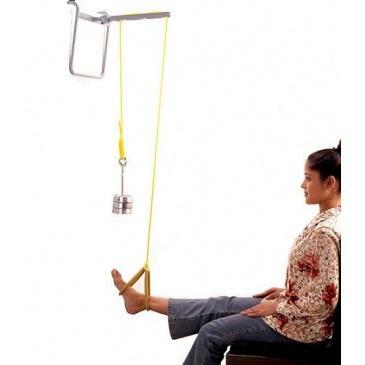 This exercise set also provides support general health of a person and reduce pains of joints/muscles while exercising. It is useful for patients who are suffering from muscle cramps, bunion, pronation, fallen arches, plantar fasciitis, tight muscles etc. A physiotherapy rehabilitation aid and immobilization support product.